You are here: Home / News / Are taxis expensive in Palermo? Are taxis expensive in Palermo? Taxis in Palermo are comfortable, fast and punctual. On the other hand, they can ruin your budget and very quickly. Taxi drivers are like vampires, but instead of thirsting for blood, they thirst for your money but unlike the legendary vampires of the past, these guys don’t only roam at night but all day as well. It is my personal opinion that the entire Vampire legend and Count Dracula came from Sicilian taxi drivers who inspired Bram Stoker’s famous novel. 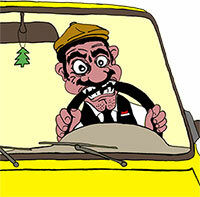 Sicilian taxi drivers roam about the city looking for you, an obviously foreign victim. Once they get you inside the taxi, the circumnavigate the city before dumping you at your destination which may actually have been only a few blocks distant. Then with an arrogant air of having done you a great favor, they present you with an exorbitant bill. I must stress that taxi service is really terribly expensive in Palermo, especially during the night. This is because locals seldom take cabs. So the main source of revenue for taxi drivers comes from tourists. Let me warn you once more that in Palermo, the taxi drivers constantly cheat foreigners, overcharging for a ride. The best you can do if you must take a taxi, is to negotiate the price before getting into taxi. This is not only good advice for Palermo, but for the entire Sicily. If you don’t mind getting fleeced, go ahead. You can hail a cab on the street or call posted numbers. You’ll pay more with luggage but the drivers do not expect tips. 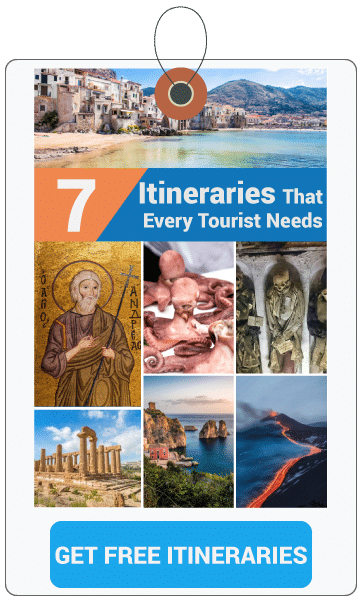 Read our guide on how to get around Palermo to make the most of your trip. If you have doubts, or more questions about taxi service, you can use the comment box below. I’m always here to help!